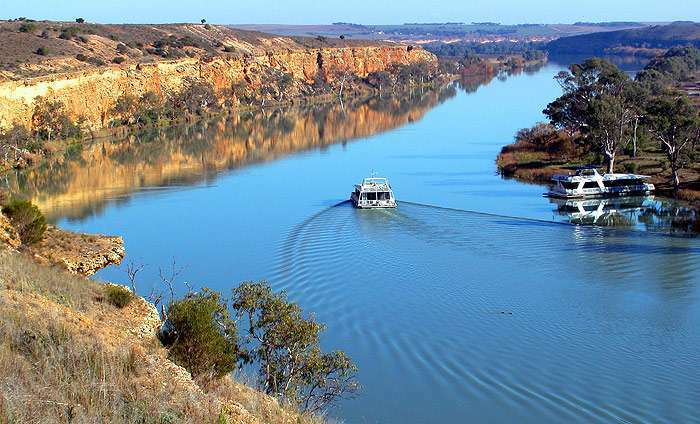 White Houseboats at Mannum in South Australia features three of the most luxurious houseboats on the Murray, catering for two to twelve people. Each has a large cedar spa on the sun deck, modern design and decor. All bedrooms with combination TV/DVD. A large LCD TVs feature in each living rooms. 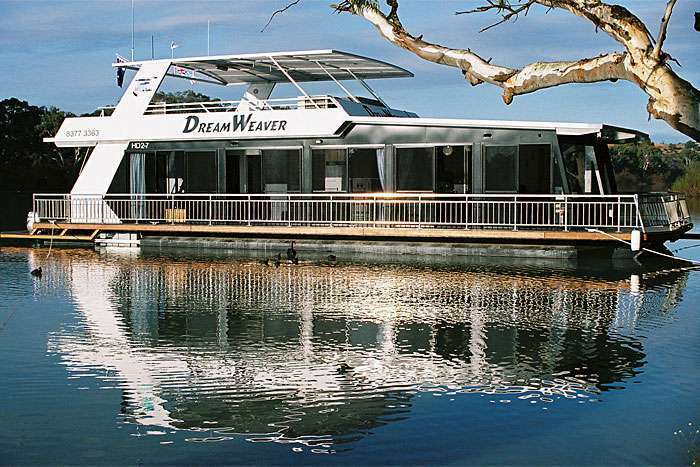 Whitewater and Dream Weaver houseboats offer en-suite bathrooms. 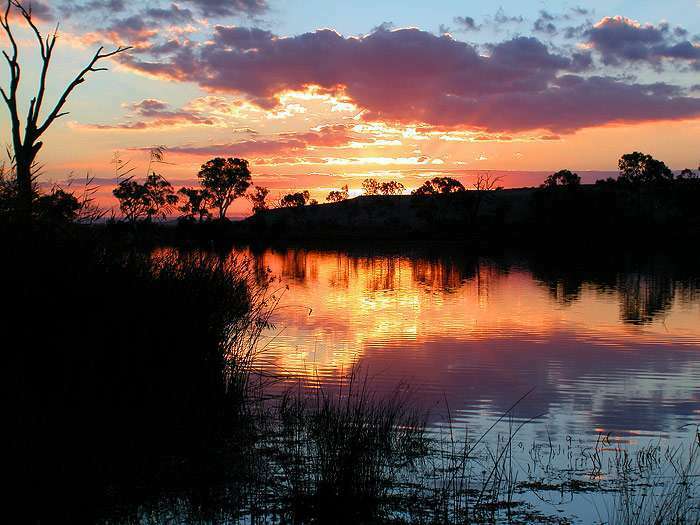 See www.whitehouseboats.com.au and click on each individual boat (scroll to the bottom of the webpage). 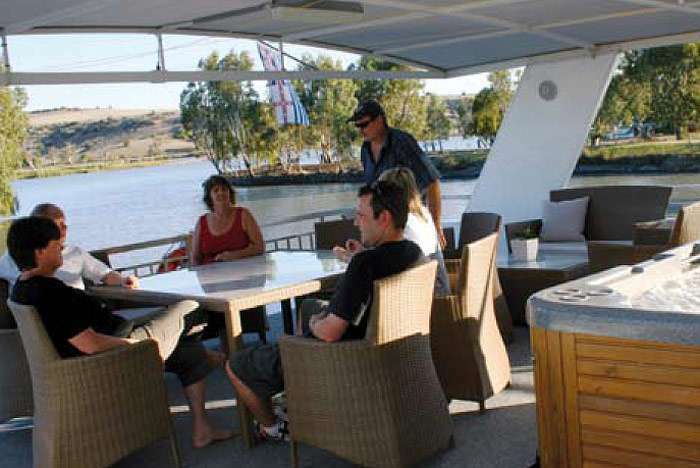 White Houseboats feature three of the most luxurious houseboats on the Murray, catering for two to twelve people. Each has a large cedar spa on the sun deck, modern design and decor. All bedrooms with combination TV/DVD. 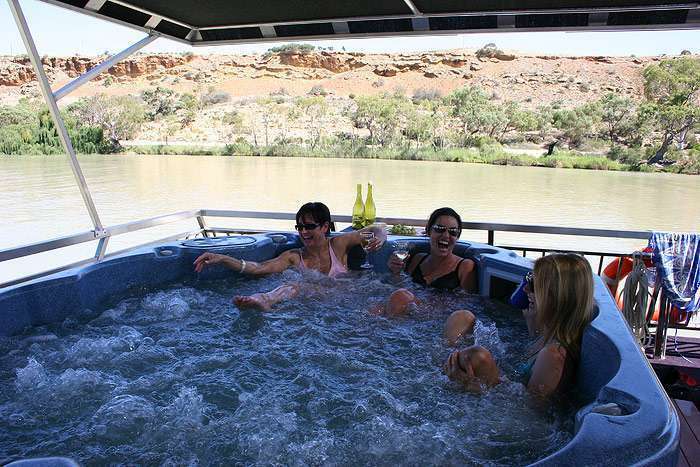 A large LCD TVs feature in each living rooms.Whitewater and Dream Weaver houseboats offer en-suite bathrooms.